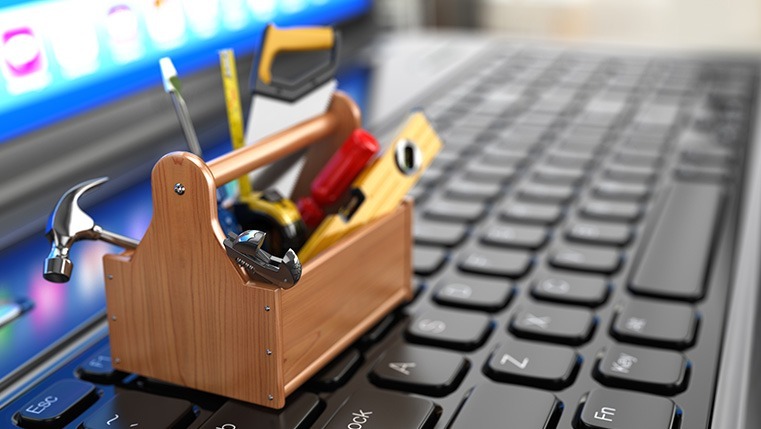 Authoring Tools for eLearning Development: Choose the Best One for You! Are you thinking of rolling out an effective eLearning course? Are you unable to decide which authoring tool can exactly suit your eLearning development requirement? With many authoring tools available in the market, are you confused over making the right selection? Well, this confusion is quite understandable! The right authoring tool is very important to develop an effective eLearning course. A wrong tool can make you end up with an inappropriate and ineffective eLearning course, which will serve no purpose for learners. Consider the four different scenarios given below. How can you decide which authoring tool can help you to successfully deal with these situations? This difficulty in decision making can be overcome if you first check the suitability of the tool with respect to a few important factors. Let us see what they are. What needs to be understood first is, although all authoring tools can be commonly used in the eLearning course development process, definitely all of them are not meant for performing the same task. Different authoring tools are loaded with different features and capabilities, having their share of advantages and disadvantages, and are developed to serve different purposes in the area of eLearning development. Hence, before making any hasty decisions about any authoring tool, it is important to first evaluate your training requirement and then analyze if a particular authoring tool can meet that requirement. For example, a tool like Articulate, with a set of predefined interactivities, can be ideal for easily converting PowerPoint presentations into eLearning courses and creating quick assessments, while the Lectora tool is well known for converting heavy text into simple eLearning courses. In the same way, if you are going to roll out software or application training and are required to incorporate simulations in it, then an authoring tool like Adobe Captivate can be the best option because the tool includes features that can help create effective simulations. In addition to checking the nature of your training requirement, your team’s knowledge and the skillsets on authoring tools is also one of the determining factors in selecting the right authoring tool. Your team may consist of members with different profiles (such as instructional designers, SMEs, trainers, training managers, courseware developers and authoring tool) with different skillsets and capabilities. And these team members may have certain limitations. For example, a trainer who is comfortable in using PPT might find a complex tool like Flash very difficult to use, but can handle a tool like Articulate with little practice. In the same way, you may require to blend the authoring tools and more traditional programming if the team consists of a few developers along with instructional designers. Hence, it is always important to see that the selected tool should not trouble your authors, but indeed support them in making up an effective eLearning course. You may require keeping your courseware simple or making it more complex. Your course may be low or high on various content types: facts, processes, concepts, principles and procedures. For example, a tool like Lectora can be helpful in presenting content associated with facts and procedures as the tool supports different image formats and also allows conversion of heavy text. In the same way, a Flash tool can allow you to develop highly complex process training courses with rich animations and graphics, whereas Articulate, which has inbuilt templates, can be ideal for simple training with less complex interactivities. So the selection of a tool depends on the nature of your content too. It is common knowledge that globalization of business is the order of the day. So, when you expand your business operations to new shores, you may be required to translate your online courses into multiple languages to satisfy the training requirements of your global workforce. Imagine a scenario where you may need to roll out process training for about 10,000 of its employees, in say 13 languages and that too within a month! How can you accomplish this task efficiently in quick time? The answer is – by using the right rapid authoring tool that has the feature to publish eLearning courses in various languages. Hence, you need to make sure that your course authoring tool supports translations well. Here, you need to ensure that the tool supports Semitic languages written from right to left such as Hebrew and Arabic. You also need to check that that it supports double-byte character sets (DBCS) used in East Asian languages like Chinese, Japanese and Korean. The time frame within which a course has to be developed is also one of the main deciding factors in choosing your authoring tool. For example, if you have to develop a course in tight timelines, a traditional tool like Flash might not be appropriate because the tool does not allow for rapid development of courses. You need to consider rapid authoring tools when you have extensive rollout requirements but have less development time. These authoring tools have readymade templates and they also allow for easy and quick integration of required media elements in eLearning courses. With their inbuilt functionalities, these authoring tools can enable you to re-create existing content available in the form of PPTs so that you can develop courses quickly. You can also cut down as much as 40% on development time with today’s authoring tools in comparison to traditional course development tools. Here is a table that summarizes the suitability of different authoring tools for different eLearning requirements. Thus, we have seen how the above mentioned factors can influence your decision about selecting the authoring tool. By analyzing these factors, one can easily make the selection of right authoring tool for his/her eLearning development.